When we talk about up-and-coming young managers, we generally imagine former players who are just setting out on their managerial careers in their late thirties. Often having experience of playing at the top level, their reputation as a player provides the helping hand to secure the first job. However, one major exception to this is André Villas-Boas. He never played football and he has very little managerial experience. And he is only 33 years old. However, during the summer, he was appointing as Jesualdo Ferreira’s successor at Portugal’s most successful club in recent years, FC Porto. 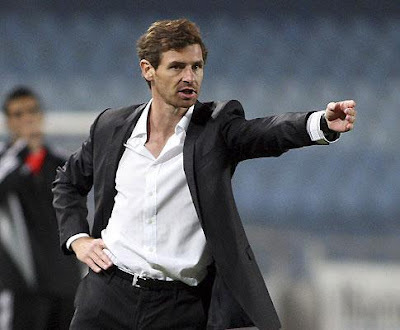 André Villas-Boas gained his first experience whilst still a teenager in Porto’s scouting department under the management of the late Sir Bobby Robson, when the club was astounded by his tactical knowledge of the game and his ability to produce top quality scouting reports. At the age of only 23, he had a short spell as technical director of the British Virgin Islands international side, but his real break came in the summer of 2002, when he caught the eye of Porto’s young and unconventional new manager – an unproven man by the name of Jose Mourinho. Jose Mourinho made Villas-Boas his ‘director of opposition intelligence’ – a nod to his impressive ability to understand opponents and their tactical abilities. Following Mourinho’s move to Chelsea, Villas-Boas joined him at Stamford Bridge, where he was appointed as assistant coach/scout – a role that he reprised at Inter alongside Mourinho. Many players, pundits and opponents have praised Jose Mourinho’s thoroughness in analysing his opponents’ strengths and weaknesses. 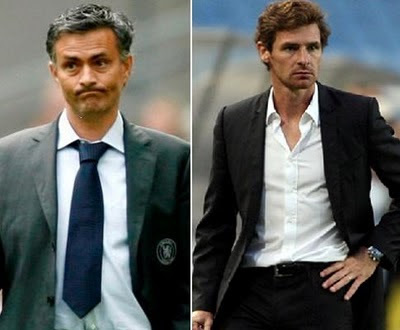 However, in reality, it is the man behind the scenes that is the mastermind – that man is André Villas-Boas. Indeed, Mourinho has regularly referred to him as his ‘eyes and ears’. However, Villas-Boas has always been fiercely ambitious and developed managerial aspirations of his own. Following a recommendation from his old boss, Jose Mourinho, he was given the opportunity to test himself in charge of Academica at the age of only 32. When he was appointed in October 2009, the club lay bottom of the table without a win all season. However, he led them to 11th place, avoiding relegation by a clear ten points, and playing an attractive style of football. Things were made even more difficult as the club lost two of its key players over the summer. Central defender, Bruno Alves, left to join Zenit St. Petersburg for €22m, whilst central midfield stalwart, Raul Meireles, joined Liverpool for €13m. However, he inherited a strong squad, and added the likes of Walter, João Moutinho and Nicolás Otamendi over his first transfer window. His first competitive match in charge of Porto was the Portuguese Super Cup, where they played league champions, Benfica. Goals from Rolando and Falcao led them to a comfortable 2-0 victory, and gave Villas-Boas his first piece of silverware. Just under two months, and ten games later, he was still to drop a single point as Porto manager. Eleven straight victories to begin the campaign, and combined with Porto’s strong finish to the previous season meant that the club had won 21 consecutive games in all competitions. The first dropped points of the Villas-Boas era came on the 4th October, when his side drew 1-1 at Vitória Guimarães. Four more victories followed before they experienced their first dropped points at home in a 1-1 draw in the Europa League against Besiktas. However, they bounced back in stunning style at the weekend as they destroyed the reigning champions, Benfica, beating them 5-0 to move ten points clear after only ten games. His strike-force of Falcao and Hulk would strike fear into any European defence, and they have already racked up 16 goals between them in the league, and 27 in all competitions. The likes of Cesar Rodríguez, Fernando Belluschi and João Moutinho are all top quality midfielders, whilst in defence, Rolando, Jorge Fucile and Nicolás Otamendi all played in the World Cup in South Africa. Unsurprisingly, he is quick to isolate himself from the inevitable comparisons to Mourinho. Whilst he describes Mourinho as ‘very important’ to him, he states that “I am not a clone of anyone. I want to leave my mark on this club.” However, if success continues to come, the comparisons are unlikely to recede. Indeed, he even looks like a younger version of the ‘Special One’. He undoubtedly has great talent as a manager, and it would not be surprising to see him follow in his mentor’s footsteps and manage in the top European leagues. However, only time will tell if the apprentice can become the master.